Catalogue > Cities: maps and sights of cities and villages > 6. Zeeland > MELISKERKE. Mariekerke. 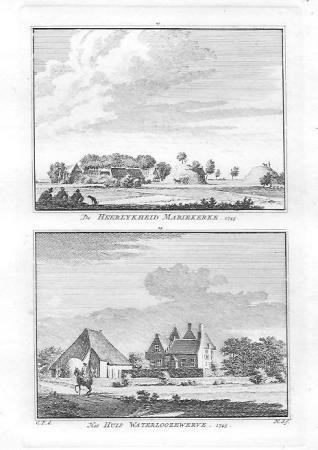 "De HEERLYKHEID MARIEKERKE. 1745. / HET HUIS WATERLOOZEWERVE. 1743."